The artifact collection of the Dittrick began with the creation of a “historical committee” of the Cleveland Medical Library by Dudley Peter Allen in 1898. Preserving and venerating our medical heritage, as embodied in the instruments, furnishings, and memorabilia of Cleveland doctors became the mission of Allen’s committee. Howard Dittrick continued this endeavor, but broadened the scope geographically and culturally. Allen and Dittrick collected old medical instruments before (thankfully!) such things became pricey medical antiques. They sought objects that documented medical progress, as they understood it, particularly the technologically-driven medicine and surgery of 19th and 20th century America. We thus have one of the most comprehensive collections of medical tools – diagnostic, therapeutic, and surgical instruments representing virtually every specialty. However, collecting today is distinctly different from the time of Allen and Dittrick. For one thing, we cast our net more broadly to encompass the experience of the patient as well as the doctor. And we have received some notable gifts of collections already brought together by persons with a passion for the medical past. As a result, the Dittrick now has the most comprehensive collections of diagnostic instruments, endoscopy, and contraception in North America. Our challenge is to make sense and meaning of this material, and to coax out of objects the stories they have to tell us. This manual was prepared as part of the Ohio Medical Artifact Cataloging (OHMAC) Project. 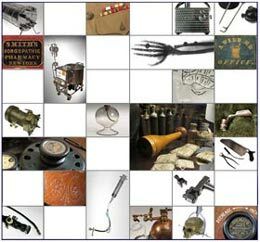 This is a project of the Ohio Network of Medical History Collections, a consortium representing the historical collections of Ohio’s seven academic health sciences libraries. From 1990 to 1992, this project was funded by the National Library of Medicine. From the Fall of 1992 until the Spring of 1993, the project was funded by organizations, corporations, and individuals. From 1993 through 1995 the project was funded by the National Endowment for the Humanities.